If you are new to the world of lighting, you may become quickly overwhelmed after learning about every type of light fixture and light source available for purchase. From recessed and track lighting, to wall sconces and pendant lighting, there are many different varieties of lighting for individuals to choose from. However, if you are not aware that each type of lighting is used for different reasons, you may end up purchasing the wrong kind of lighting for your needs. 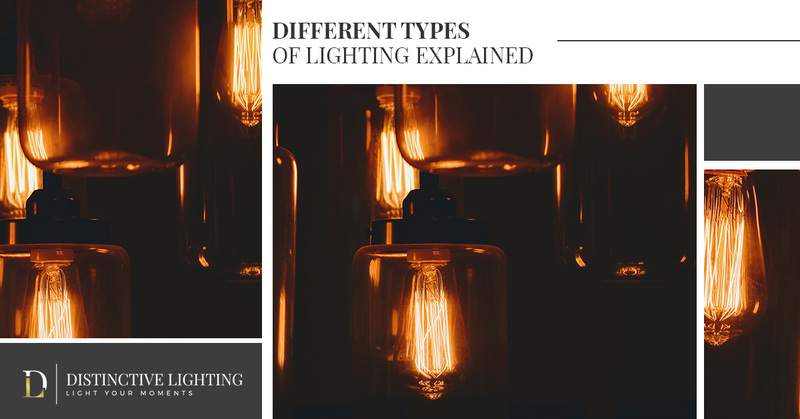 That’s why, in today’s article, we will be breaking down the three main types of lighting and the different styles of light fixtures within each category. If you are located in Bozeman or the surrounding areas of Southwest Montana, and are searching for the leading lighting showroom in the Gallatin Valley, visit Distinctive Lighting today! We know that no two customers’ needs are alike, which is why we currently offer the top lighting products from more than 200 unique manufacturers. 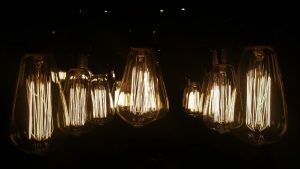 If you are currently looking to change the look and feel of your home’s lighting, and are interested in learning more about the three main types of lighting to choose from, continue reading more on the subject below. Ambient lighting is one of the most common forms of lighting found in homes and is designed to provide a sufficient amount of lighting to individuals without being too unpleasant on the eyes. While ambient lighting is the preferred method of lighting for lounging and creating a warm and welcoming environment, it may not be suitable during instances where a greater amount of light is necessary for the task at hand. Wall sconces. These light fixtures are commonly seen in hallways, living rooms, and even in lowly lit dining areas. Wall sconces come in an assortment of shapes, styles, and sizes, which make them a versatile light fixture for your home’s interior. Pendant lighting. A light fixture generally found in kitchens and dining areas, pendant lighting is designed to hang from your ceiling and looks great while spanning dining tables and kitchen countertops. Chandeliers are also an example of ambient lighting that can be hung to add a greater level of sophistication to your home. Recessed lighting. True to its name, a recessed light fixture is housed within your home’s ceiling so that the fixture is flush with the ceiling itself. Recessed lighting provides an excellent source of light in kitchens, dining and living areas, as well as bedrooms, and can provide an extra touch of elegance that your home has been missing. While ambient lighting may be exceptional for gently illuminating large areas within your home, it does not provide enough light to draw attention to areas of your home that you may want to highlight. Accent lighting, however, is capable of bringing your home’s most unique features to life. A unique form of lighting, accent lighting can be used as a means for lighting both interior and exterior areas of your home, and is designed to catch the attention of your guests. Spot lighting. If you are looking for the best way to bring a piece of art to the forefront of your home, spot lighting is equipped to handle the job with ease. Spot lighting is a popular method for lighting artwork, photos, and other points of interest in your home, as it has the ability to surround an area with dramatic shadowing while completely illuminating the focal point in question. Landscape lighting. Accent lights are most commonly used during exterior lighting projects when trying to improve your home’s landscape. If your home’s exterior is surrounded by lush foliage, beautiful trees, or a breathtaking water feature, you can easily improve your landscape by showcasing these items with accent lighting. Wall lighting. Using wall lights as a means to draw attention to unique architecture around your home can create a warm and welcoming environment. It is important to note that you should be strategic when choosing where to place your wall lighting, such as alongside fireplaces and bookcases, so that you can easily achieve the intended look and feel that you desire. Ambient and accent lighting are both useful methods for lighting specific areas of your home. However, there may come a time where neither type of lighting is able to provide you with sufficient light while reading, writing, or doing your favorite activities. Luckily, task lighting is commonly used as a way to provide a concentrated source of light for the times when you are hard at work. Lamps. If you read frequently before bed, you have experienced task lighting firsthand. Bedside lamps are an excellent example of how task lighting can help make common tasks much easier. Vanity. Like many individuals, you may spend most of your mornings in your bathroom getting prepared for work or the big day ahead. Vanity lighting is commonly seen next to bathroom mirrors, as applying makeup or shaving requires that a great deal of light illuminates your face without causing any shadowing. We hope that you found our article on lighting and light fixtures helpful when it comes time to renovate your home’s lighting. If you are interested in learning more, or would simply like to see the endless amount of light fixtures available to you, stop by our lighting showroom in Bozeman today. We look forward to working with you!